Lloyd, the owner of Lanikai Farms, contacted us a few days ago in regards to website hosting and website maintenance services. He had informed us that the website maintainer he used for years had retired and needed a new person to take over. 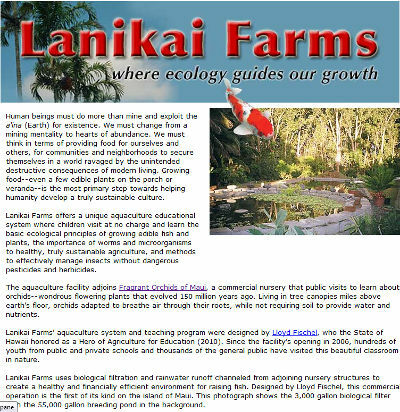 The Lanikai Farms site is at lanikaifarms.com.